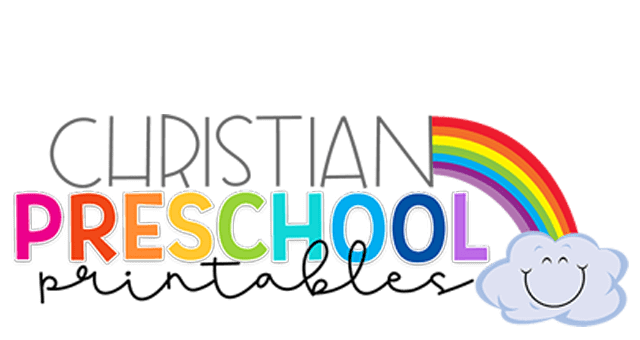 A collection of free Easter Crafts, Printables and Resources you can use in your personal homeschool or Sunday School Classroom! 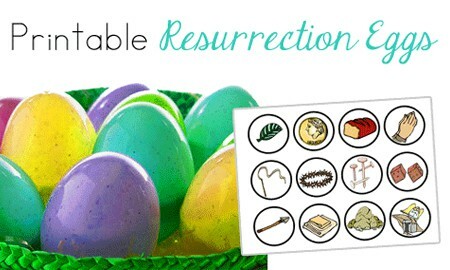 Children can learn the true meaning of Easter Sunday with our Easter Story Resurrection Eggs! 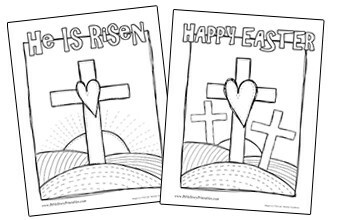 We have a great selection of Easter Bible Printables including coloring pages, activities, games, crafts, worksheets and more! 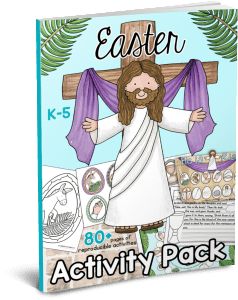 If you are looking for an easy print option, be sure to check out our $5 Easter Activity Pack below, it’s filled with tons of Resurrection resources and takes the prep out of your lesson planning. 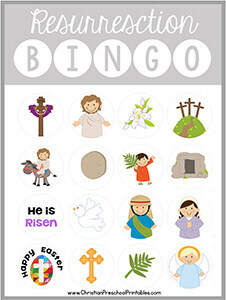 A colorful Easter Sunday Bingo game you can play with your Sunday School Students. This set features six different cards with characters and symbols of the resurrection. Preschool is a great time to get children started with fun learning experiences. Even at an early age children can learn all about color identification, number recognition, sequencing, letter sounds and more. This is a simple craft for children to make around Easter. Featuring easy cut shapes, children cut out and tape the stone to cover the tomb. They can then lift the flap to reveal the bible verse and the empty tomb. 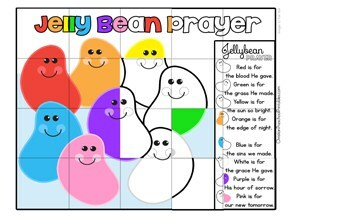 These are printable Jelly Bean Prayer cards you can use as take home items for your children. Available in black and white or color, these are great when paired with a small bag of jelly beans. (Be sure to check with Mom and Dad first as Jelly beans can be a choking hazard for younger children). 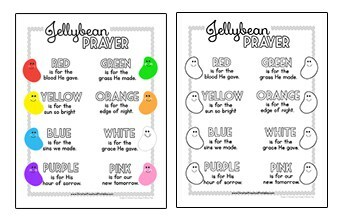 Children can work on handwriting and color words with this simple Jelly Bean Prayer minibook. 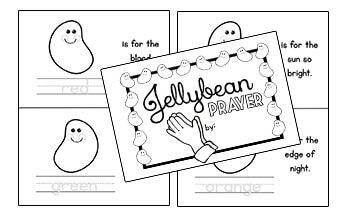 A simple jelly bean prayer coloring page for kids. 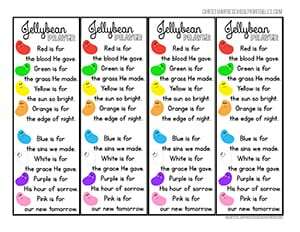 Children can color each bean and write in the color word. 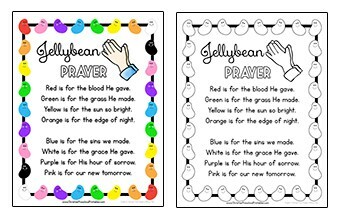 This is a set of Easter words you can use during the Easter holiday. 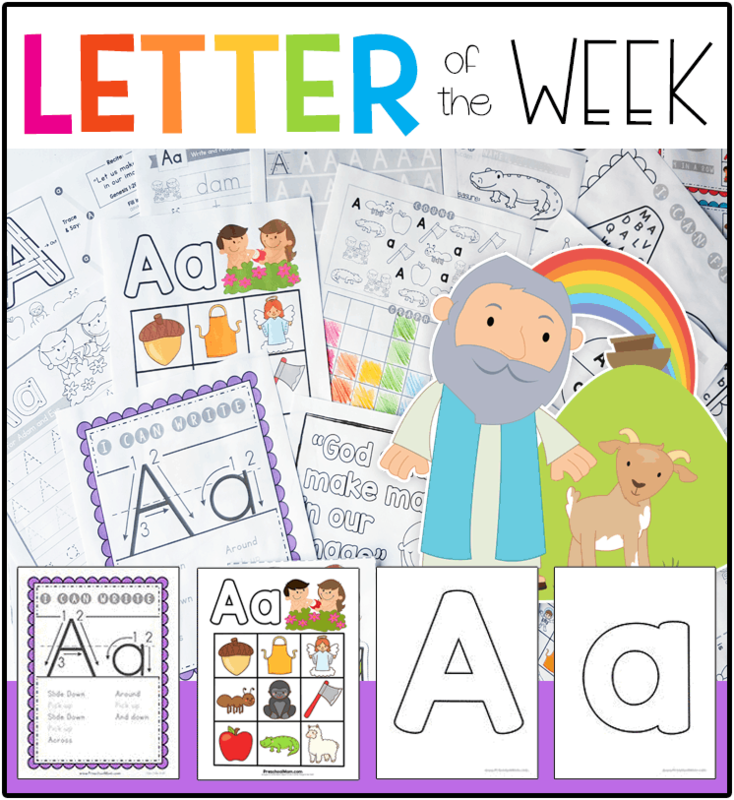 Children will learn words that they can use to retell the true Easter story. 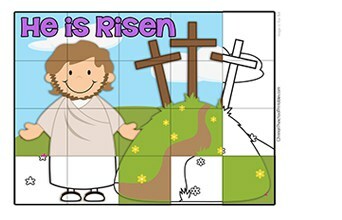 This is a set of Printable Bible Puzzles that you can use around Easter Time. 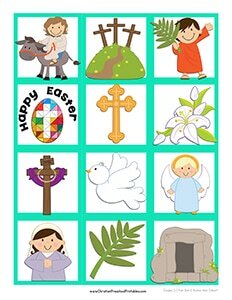 You'll find a Jesus Lives bible puzzle, Hosanna, Little Lamb, and a Cross with a heart Bible Puzzle. Here is a set of printables from the verse Luke 24:6, "He is not here. He is risen." 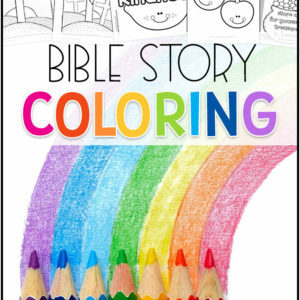 Includes bible crafts, coloring pages, bible verse copywork pages and more. This craft is really easy, and lets children go home with a great message to share with their family. He is Risen! 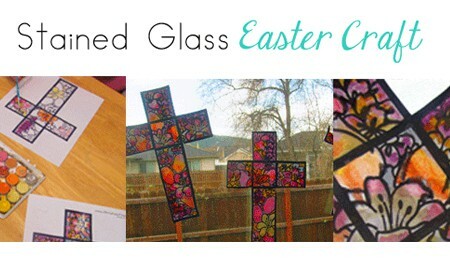 The perfect craft to do around Easter time, simply requires the two templates provided (print on card stock for best results) and a Popsicle stick or a ribbon. 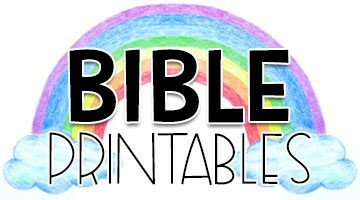 A set of bible printables for the verse from Mark 11:9, "Hosanna! Blessed is he who comes in the name of the Lord!" Children learn what the word Hosanna means. 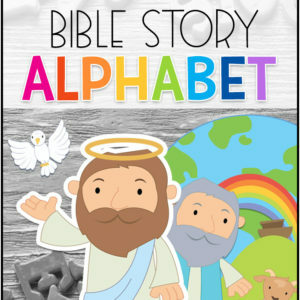 Children can retell the story of Jesus' Triumphant entry! Cut out the palm branches. 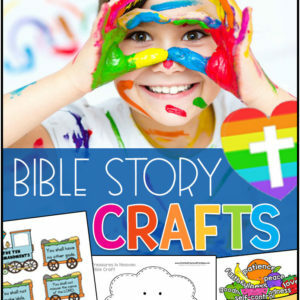 Show them how to glue them onto the path, just as the villagers did when Jesus came! 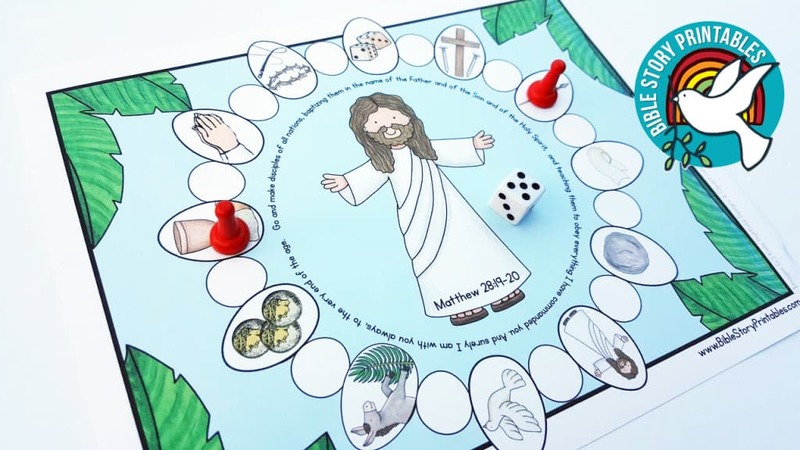 This is a easter game where children can spin to get one of each of the items they'll need to retell the story of Easter. They store their pieces on their game board which is a cross shape. Easter Crosses for April! 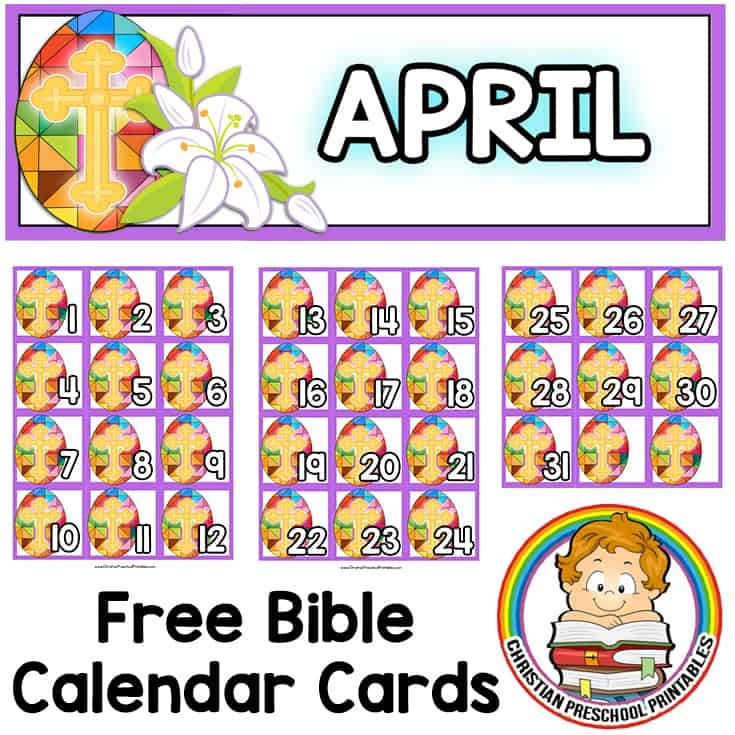 This free printable set of Calendar cards is great for your children's ministry or Sunday School Classroom. 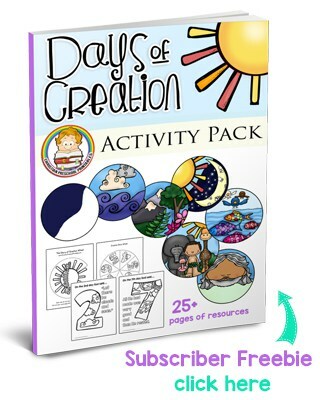 This is a fun craft for children to learn and understand the the awe of that first Easter morning. First, let children color or paint the plates brown, or grey to represent the tomb. Then have them color and cut out the pictures.